← How Can These Things Be? Observe, admire and obey may be given as the novice’s watchwords. The ideal must not remain an ideal, but has to be realized at whatever the cost. The cost is heroism. I found this observation from St. John Cassian in Celtic Daily Prayer. It spoke to me for a number of reasons. Today, I will leave for Louisiana for a meeting of my house within the Anglican Order of Preachers (the Dominicans). 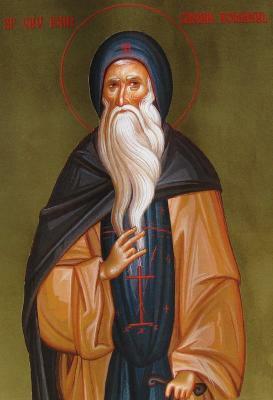 Most folks consider Cassian the father of monasticism in the West. So, in a broad sense, as my brothers and sisters gather, we meet in imitation of Abba Cassian. In this little passage, St. Cassian gives advice to those who are novices in a religious order. In most religious orders today, one begins the process of discerning whether one has a vocation as a postulant. After some period of study, reflection, prayer and a goodly amount of questioning, one can request to become a novice. Novices have been admitted to a specific religious order as “beginners” and will generally remain novices for at least a year or two. Cassian warns that our ideals must not remain ideals; we must bring them to fruition. It will not suffice to say we follow Christ; we must become Christ-like (a process our Orthodox brothers and sisters call theosis). As I’ve observed before, the Christian life is not a spectator sport. Cassian also warns us that this effort carries a significant price: “The cost is heroism.” Jesus calls us to set aside our insecurities, our self-doubts, and even our inadequacies. We must be prepared to face epic failure as we stumble, struggle and stutter our way into our new life in Christ. Jesus called those who are willing to pay that price his friends; He called them disciples. This entry was posted in Uncategorized and tagged Anglican, Bible, Disciple, Christianity, Disciples, discipleship, Dominican, Dominican Order, Episcopalian, Jesus, Lent, monasticism, Moral Theology, Religion, Spirituality, St. John Cassian, theosis, Thomas a Kempis. Bookmark the permalink. Thank you for these words of wisdom. I find they describe any artist’s way of producing her work: “The ideal must not remain an ideal, but has to be realized at whatever the cost.” I am writing this as I am in the midst of my third major novel revision struggling to “set aside [my] insecurities, [my] self-doubts, and even [my] inadequacies.” We artists “must be prepared to face epic failure as we stumble, struggle and stutter our way into our” next work of art. I share the “terror of the blank page.” I think the parallels between our art and our Christian life are stunning, and I think a Franciscan friend of mine will probably agree. Traveling mercies as you journey to be with your fellow Domincans, Br. James. And great thanks to you for your encouragement to me even in my ‘stumbling, struggling, stuttering’ attempts toward my new life in Christ. I am often my own worst critic and this reminder that I am loved even where I am now on my journey is one that I often need. Thanks for your good wishes. We have a lot to do over these few days we are together, and our time together is always too short. Thank-you, again, for giving me words to contemplate as I strive to “realize the ideal, at whatever cost”. Blessings on your time with your brothers and sisters in Christ. I think our brother St. Cassian had high hopes for us, probably shared by the Father. Many thanks for the blessing of your good wishes, and moreover for the blessing of your friendship. Again, you say so many worthwhile things, it’s difficult to choose what I most want to comment upon. But I am especially inspired by the observation that you and Cassian make about heroism. Viewed another way, heroism is not reserved for people with a certain kind of personality. Each of us is called to our own unique form of heroism… whatever it costs us to follow Jesus in our peculiar time and place. I think that’s right; I think heroism will look different for each of us. We bring our gifts, along with our shortcomings, asking God to fill in the cracks. As always, thanks so much for your thoughts. Thank you for sharing and for your work. There is absolutely a cost to join a community, and to become a disciple of Christ, but what did St. Cassian mean by heroism? Did he use it as a synonym for pride? Is this the result of years of St. Cassian watching men enter their community full of what they thought they could bring, full of what they wanted to be, full of the idea of being the hero to the community? Checking with your post to see how I did, I believe this interpretation agrees with your conclusions. And I liked your conclusion: “We must be prepared to face epic failure as we stumble, struggle and stutter our way into our new life in Christ.” My life evidences that statement. In following Christ my insecurities, self-doubts, and inadequacies are dealt with at the cross, set aside where He became my security, my confidence, and my sufficiency through facing trials of failure or loss. God is not looking for self-made heroes, but broken and humble hearts yielded to His hand whom He can raise up to minister to His desires and to His kingdom. May God richly bless your community, your house, and your fellowship with His grace, wisdom, and love. Thanks so much for your note. I don’t interpret Cassian as calling for us to be heroes in the sense of being prideful. Rather, I think he called upon us to do the heroic thing, to take up our crosses and follow Christ. And, you’re exactly right, when we undertake to follow Christ most of us will encounter our own failures and shortcomings along the way. Facing those demons (which for most of us will include our own egos), is in fact a heroic struggle, and I think that’s what Cassian meant when he talked about the cost we would have to pay.